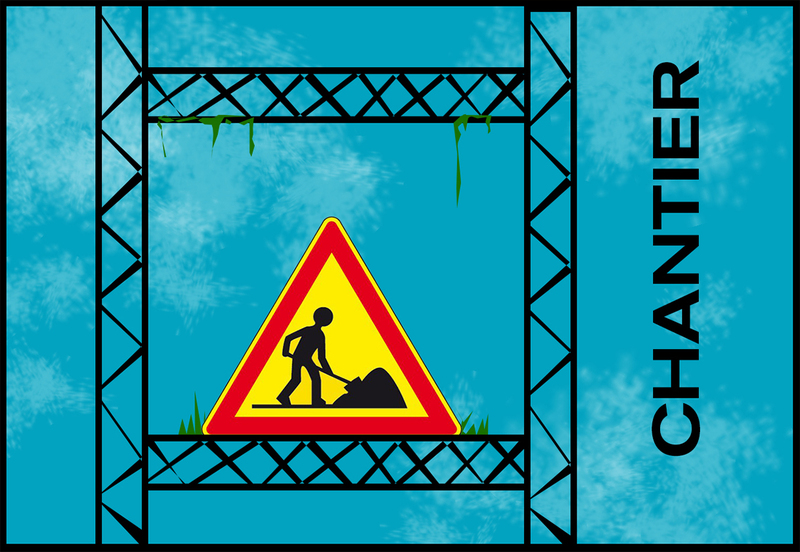 Chantier is a card game made for a Board Game Workshop run by Antoine Bauza, famous board game author of 7 Wonders and many more. As we only had 3 days to create a game, we decided to create a simple and addictive card game based on hidden informations and card sharing. In Chantier, each player has to build the most valuable building. 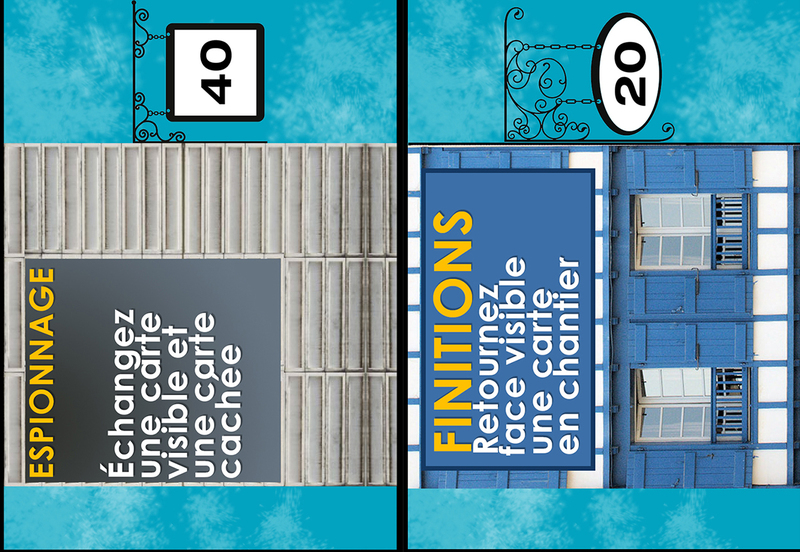 On each card symbolizing a floor, an effect to apply ! But each card has to be played on the hidden face first, and some of them ask to share your floors. 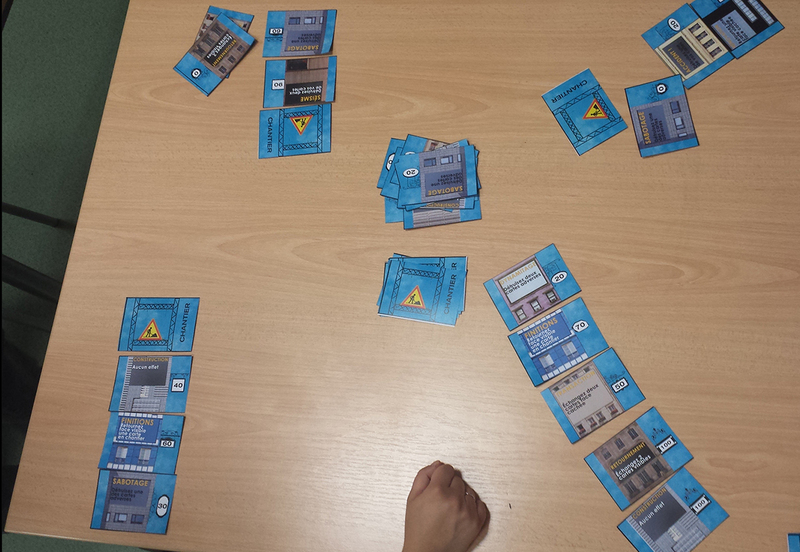 The game is finished when the first 5 floor building is finished, but it is only the most valuable building that wins.